We've started out with the image at the top of this post as the most basic of basic summaries (note: image is not to scale! ), as something you could perhaps show or share with someone trying to decide themselves. It's far from exhaustive or detailed, but it gets across a few key consideration we believe will matter the most to mainstream consumers. With that in mind, let's get slightly more in-depth. This year, our favorite out of the larger Samsung pack is the Galaxy S10e. 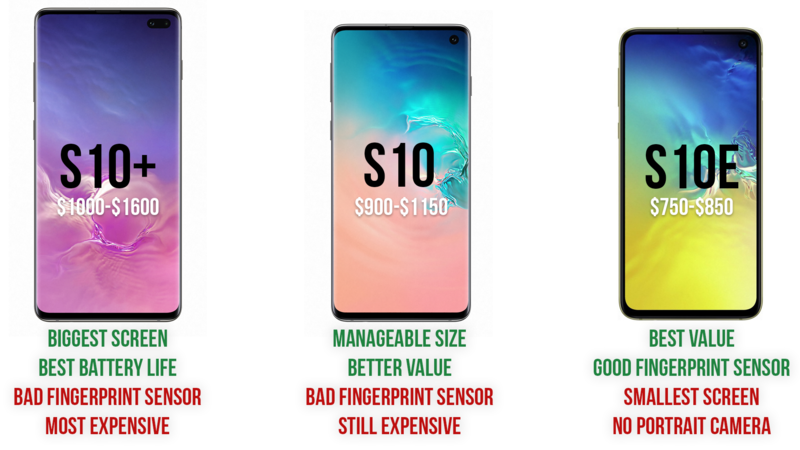 It offers a significantly better value than either the S10 or S10+, has a much better side-mounted capacitive fingerprint scanner (the S10 and S10+ in-screen readers are cool tech, but objectively difficult and annoying to use), and it really gives up very little compared to its larger siblings while costing substantially less. We don't believe the Galaxy S10+'s second front-facing camera provides any notable benefit for most people (unlike the Pixel 3's ultrawide selfie camera), and while some may miss the telephoto or "portrait" camera on the rear, Samsung doesn't even allow you to use its live focus portrait effects with that camera in the first place. We do like it for zooming in a little closer, but honestly, it's not so much better than digital (pinch) zoom on the regular camera that it's going to matter for all but the most prolific smartphone photographer. 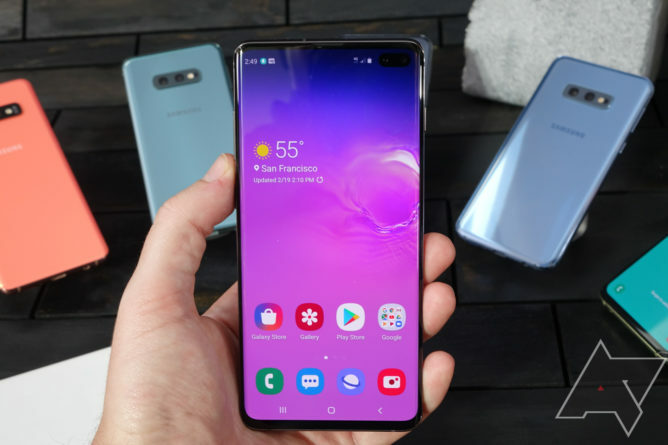 Sure, its bezels aren't sleek as those on the curved-screen S10 and S10+, and you probably will have fewer aftermarket case options (though still plenty), but there's absolutely nothing functional it's losing that most people are going to care in the slightest about. It has 6GB of RAM to the 8GB on the S10 and S10+, but we believe 6GB is perfectly sufficient for a modern flagship smartphone in 2019 and probably well beyond. Its screen isn't "Quad HD," but its pixel density is still more than high enough that your eyeballs will never be able to notice the difference (also, Samsung sets the S10 and S10+ to the same 1080p resolution as the S10e out of the box anyway). Otherwise, it has the same front-facing and rear cameras (minus telephoto) as the S10, the same processor, the same LTE connectivity, the same charging speed, wireless charging, Samsung Pay, IP68 waterproofing - the works. It is far easier to describe what is different about the Galaxy S10e versus the S10 and S10+, because damn near everything is the same. 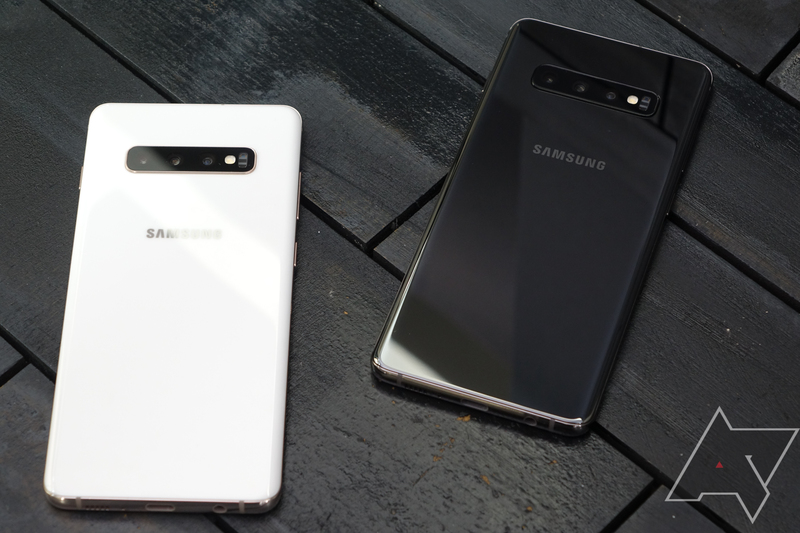 If you find the 5.8" screen too small, that's understandable, and we still wholeheartedly recommend the S10 and S10+ if you want more screen or more battery life (though the latter is primarily true of the S10+, less so the S10). The only situation we'd recommend the S10 over the S10e in as a rule is if you're getting a big discount. The S10e is less likely to receive deep price cuts (its profit margin is almost certainly lower), whereas carriers and retailers may be much more eager to cut you a deal on the more expensive S10. If you can get a regular S10 for $800 or less, we think at that point it's the better pick. But we still really like the S10e regardless. The Galaxy S10+ has an absolutely chonking 4100mAh battery this year. It's a full 20% larger than the one in the standard S10, and 30% larger than the one you'll find in the S10e. While some of that advantage is mitigated by screen size, that's not really how it works out in practice. Last year's Galaxy S9+ had a slightly (~5%) smaller display than the new S10+, but the S10+'s battery is almost 20% larger than the S9+'s. That translates into a very significant battery life increase, and our S10+ review unit has been all but unkillable even under heavy usage in a single day. Most people will probably be able to eek out two days of use with an S10+ - it lasts that long. 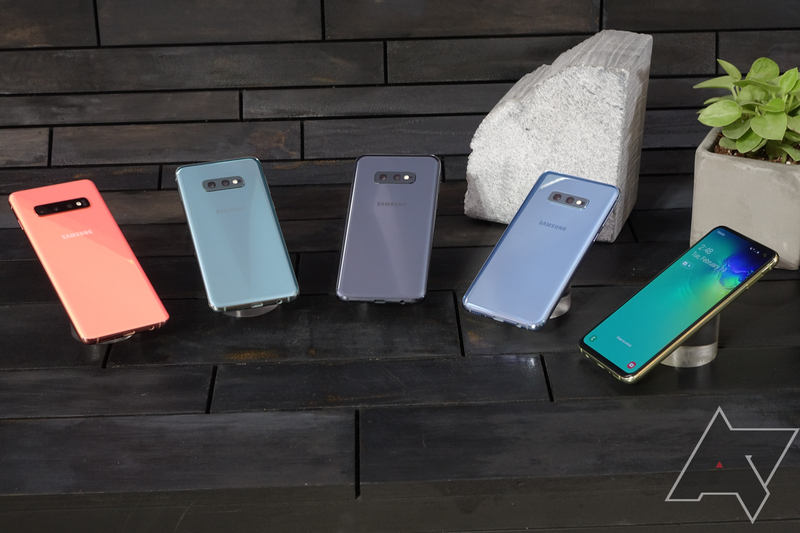 If you want battery life above all else and don't want to have to use one of those awful, super-thick battery cases to get it, the S10+ may finally be the Samsung phone that sets you free (to use a normal case, which you should, because this phone is SO SLIPPERY). The only reason we can crown the Galaxy S10+ the best screen of the bunch is because it has the biggest one. The Galaxy S10 and S10e, qualitatively, have extremely similar if not identical displays to the S10+ in basically every way that matters but the one you can measure with a ruler. There's not much else to say here. This one is another "win by default" more so than a glowing recommendation. The Galaxy S10+ technically has the best cameras of the three Galaxy phones this year, but that's not for a particularly good reason so much as a reason. That reason is it has one more camera than the S10, and two more than the S10e. The S10+ has a secondary front-facing camera that lets you take slightly wider selfies and improves the bokeh effect in live focus (portrait) selfies by using the second camera as a depth sensor, whereas the S10 and S10e have to get by using two-dimensional data. The S10+, to be clear, doesn't get any extra live focus or portrait effects that the S10 and S10e don't have, it just theoretically can produce slightly better versions of them. On the back, the S10+ has the same cameras as the standard S10 - the standard, the telephoto (portrait) lens, and the ultrawide. The S10e doesn't have the telephoto, but we're not big fans of it anyway (the pictures just aren't very good). In the end, no matter which S10 you choose, you're getting the same excellent primary front and rear facing cameras on all three. The S10 and S10+ just throw in a couple of extras. 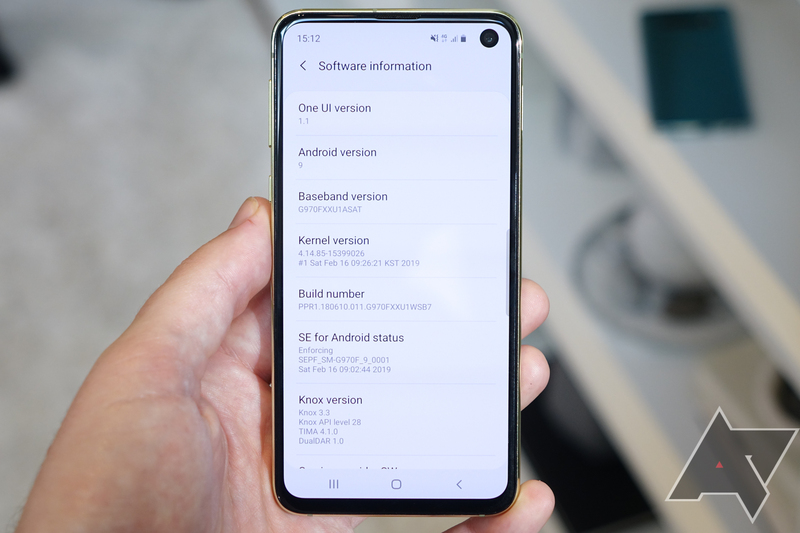 We explained in the first section pretty completely why we think the Galaxy S10e presents the best value of the bunch - so scroll up if you want more detail. But the short of it is that you give up almost nothing that matters aside from screen size, but you save $150 versus the standard Galaxy S10. Oh, and you gain a much better fingerprint scanner - mounted on the side of the phone - that's actually nice to use. We also tend to think the Galaxy S10e will hold its resale value a bit better because it's less likely to be discounted - at least initially - than the S10 or S10+. Because of its lower price, there's probably less profit margin built into this phone, and so Samsung and retailers will probably be less able to absorb massive discounts to move them. 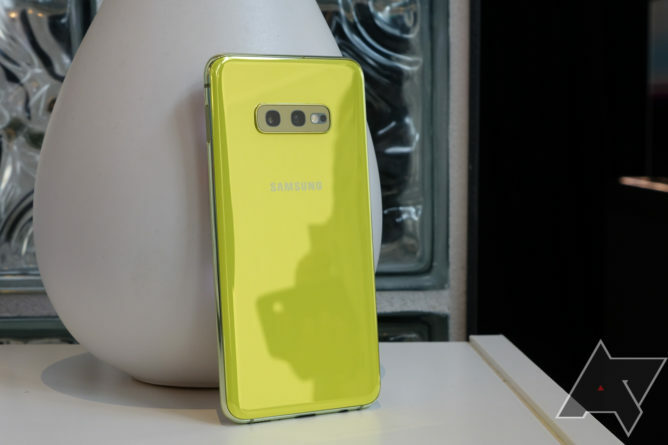 That means, aside from trade-ins and BOGO deals, buying a Galaxy S10e will probably mean paying pretty close to full retail, which will keep second-hand market prices higher, too.